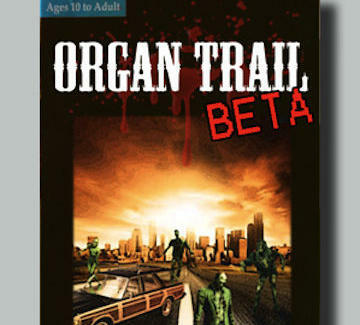 Just risen in Beta, Organ Trail's an updated version of the only reason for elementary school, with the westward wagon replaced by a weaponed-Wagoneer desperately trying to escape an ever-growing zombie horde. Select a survivor (lawyer/cop/etc. ), pick your crew, fill up on supplies, and battle the elements (health problems/getting food/...zombies) while making important decisions like whether to "plod through ash 6 inches deep or slosh through wreckage and corpses", though why you're even trying to get through Amy Winehouse's yard is anyone's guess.